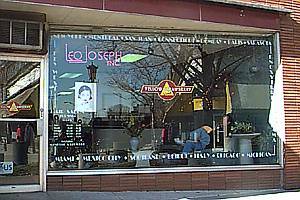 A "Hair Salon" on the Blading Tour? When the window announces the Yellow Submarine Hair Salon, of course! And they do give good cuts and styles, whether or not you happen to live on a YS. Just part of life on the Mall - it's not all food and toys.